Astrophysical observations indicate that the Universe is made up primarily of matter rather than both matter and antimatter. This matter-antimatter asymmetry of the Universe can be explained by the asymmetric decay of some heavy particles if the early Universe is sufficiently hot after a phase called reheating. But these high temperatures also lead to an over-abundance of particles called gravitinos whose presence has very adverse cosmological consequences, which is referred to as the `gravitino problem'. We shall discuss the matter-antimatter asymmetry of the Universe and the gravitino problem, and then examine whether or not the gravitino abundance can be suppressed. 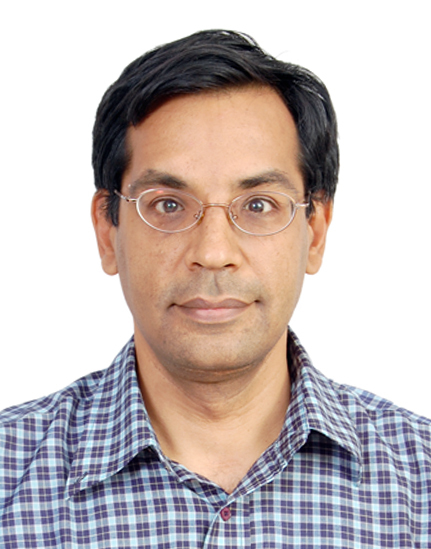 Dr. Raghavan Rangarajan has been on the faculty of the Theoretical Physics Division at the Physical Research Laboratory, Ahmedabad (PRL) since 1997. Prior to coming to PRL he was a student at the University of California at Santa Barbara and Princeton University, and a postdoctoral fellow at the Houston Advanced Research Centre. His areas of research are cosmology and particle physics. He has worked on different subjects in these fields such as dark matter, the matter-antimatter asymmetry of the universe and the cosmic microwave background radiation. Dr. Rangarajan has also been interested in working with college students and has been actively involved with the Advanced B.Sc. Physics Programme in Ahmedabad for the last decade. He is also an Editor of the IAPT journal, Physics Education.